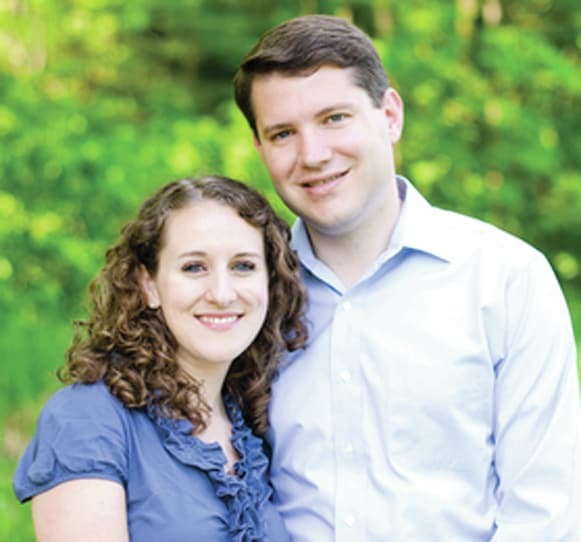 CARDINGTON, OH – Morrow County native Wes Goodman announced his campaign to seek the Republican nomination for the Ohio House of Representatives in the 87th District in an email message to family, friends, and supporters on June 15. The district is currently represented by Rep. Jeff McClain of Wyandot County who is termed out at the end of his current term. The district is comprised of Crawford, Marion, Morrow, Seneca, and Wyandot counties. Born into a family of farmers and first responders in Morrow County, Ohio, Wes Goodman learned early the importance of building into local communities that lawmakers often seem to forget. From an early age, his faith compelled him to serve those families and communities. That is why, after nearly ten years of serving Ohio families and communities and championing family and freedom’s causes at home, Wes is asking to serve his neighbors as the next representative of Ohio House District 87. Raised to value community involvement through organizations like the Boy Scouts and the Sons of the American Legion, Wes’s sense of public service escalated on September 11, 2001. At age 17, he “woke up to the larger forces shaping everyday life, the importance of knowing and promoting the ideals and principles of your country.” Soon Wes began earning his B.A. in Politics & Government from Ohio Wesleyan University (2006). Sensing that he could serve his community as part of the political process, he worked briefly for former Ohio senator and current attorney general Mike DeWine (R-OH) before joining Rep. Jim Jordan’s (R-OH) staff when he won the election to represent his district in Congress. For over six years, Wes served Congressman Jordan and the Fourth District of Ohio, developing and promoting constitutional, fiscally responsible, pro-family policies for the congressman, whom many regard as “the conscience of the conservative movement.” In 2009, Wes helped preserve nearly 20 pro-life laws through a Democrat-controlled Congress. When the 2010 debt ceiling crisis loomed, Wes’s team drove House Republicans, who had promised voters they would cut spending, to pass a historic “Cut, Cap and Balance” plan designed to reign in the reckless spending of President Obama and the Democrats and begin returning government to its constitutional limits. By 2013, Wes’s commitment to principled leadership had led him to serve as managing director of the Conservative Action Project, a coalition effort of the nation’s top conservative leaders and organizations, where he helped lead the fight to repeal and defund Obamacare, balance the budget without raising taxes, protect life and religious liberty, enhance conservative messaging, and hold Congress accountable to voters.